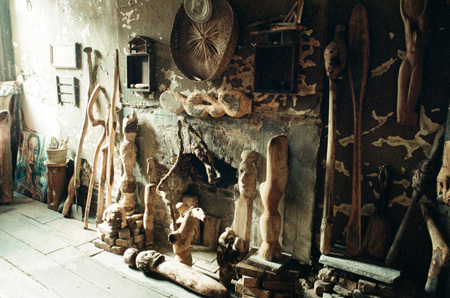 Chris Haile’s New York studio was in an out-of-use building at 210 East 14th Street, on the Northwest edge of the Lower East Side art scene in the 1970s and 80s. 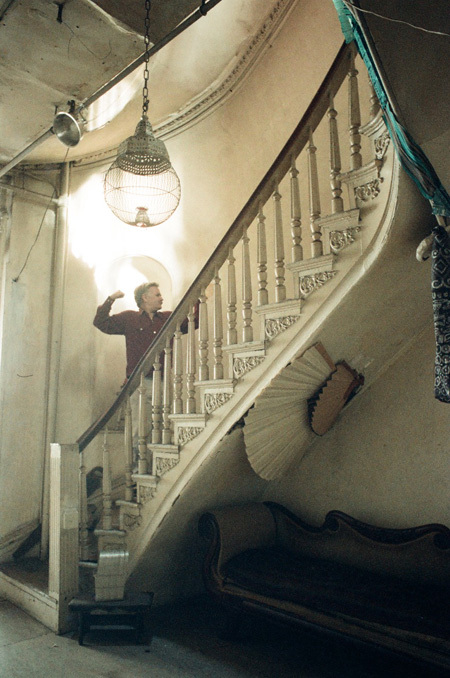 Chris lived and worked in the building from 1974 until 1989. 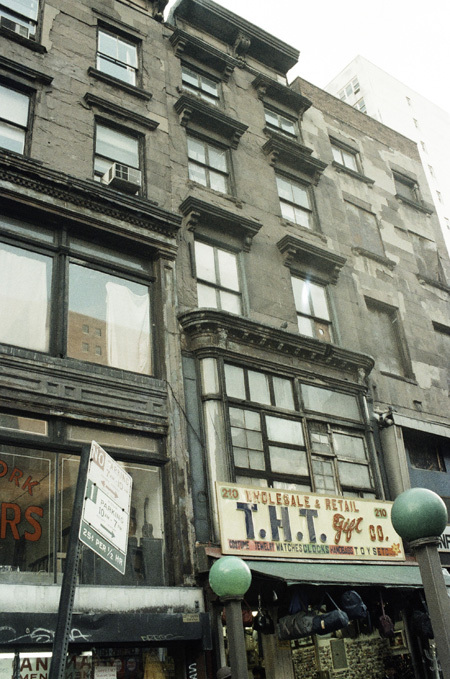 This exhibition, in November 1986, included a group of artists who lived and shared studio space in this building. 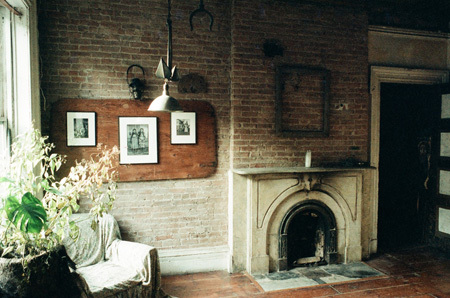 In an effort to control the use of the building, the landlord blocked the use of the entrance at 210; the exhibition was entered from 212 East 14th Street. 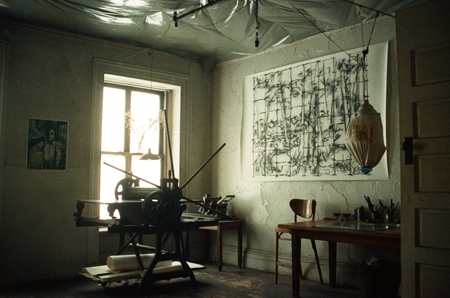 Chris Haile’s second floor etching studio. 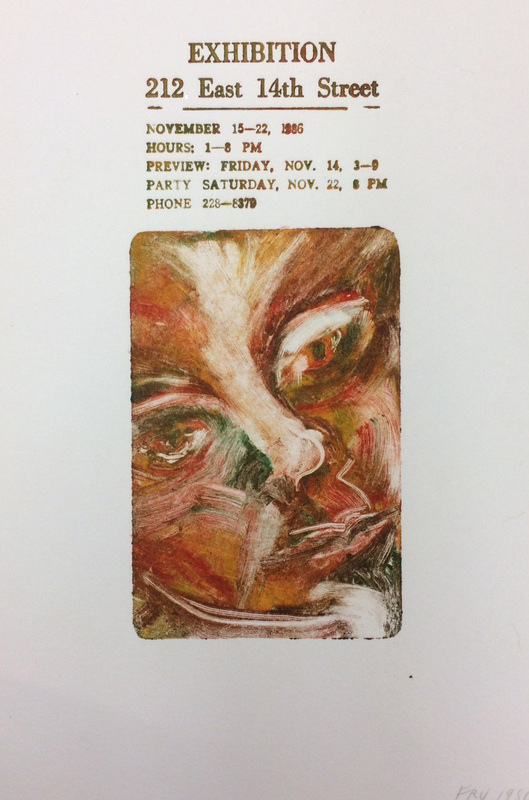 On the wall, Eric Avery’s “Martha Kumsa Prisoner of Conscience” and Roger Haile’s drawing. 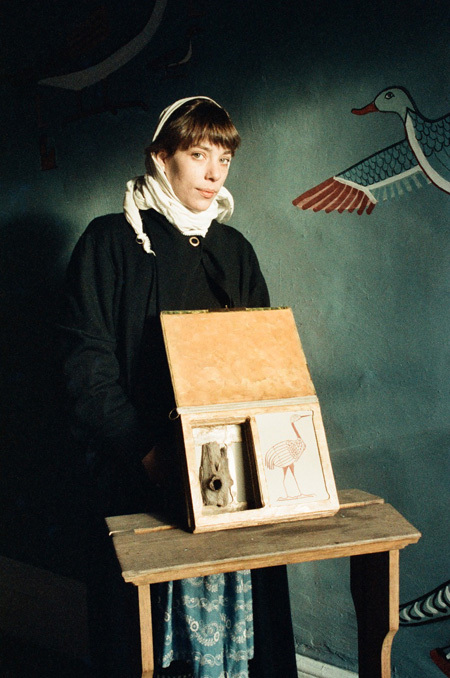 Jenny Leimert, Book Artist and Egyptologist, in front of her Egyptian wall mural in her third floor studio. 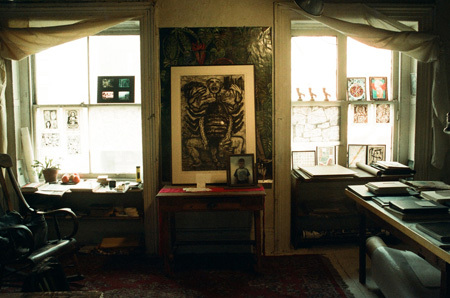 Eric Avery’s third floor studio with “Man, His Last Million Years” etching.